is a 2016 American war drama film directed by Ang Lee and written by Jean-Christophe Castelli, based on the novel of the same name by Ben Fountain . The film stars Joe Alwyn , Kristen Stewart , Garrett Hedlund , Vin Diesel , Steve Martin and Chris Tucker . Principal photography began in early April 2015 in Georgia . The film is a co-production between United States, United Kingdom and China. The film had its world premiere at the 54th New York Film Festival on October 14, 2016, and was released in the United States on November 11, 2016, by TriStar Pictures . It had high production costs associated with being the first ever feature film using an extra high frame rate of 120 frames per second, further complicated with 3D format, at 4K HD resolution . It received mixed reviews from critics and was a box office bomb , grossing just $30 million against its $40 million budget. 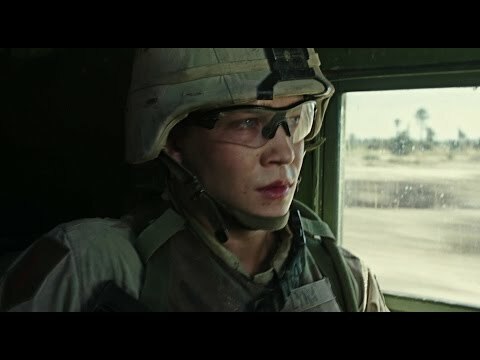 Billy Lynn ( Joe Alwyn ), a 19-year old army specialist from Texas , is caught on camera dragging his wounded sergeant Virgil "Shroom" Breem ( Vin Diesel ) to safety during an intense firefight in Iraq. This act of courage quickly ascends him and his unit, erroneously designated "Bravo Squad" by the media, to celebrity status, beginning a weeks-long nationwide victory tour culminating in a Dallas Cowboys Thanksgiving home game halftime show. The members of Bravo Squad, following their return to North America, are driven in a limousine to the stadium with the Cowboys' PR representative Josh ( Ben Platt ) and film producer Albert Brown ( Chris Tucker ), who is in the process of securing a film deal for the squad. A flashback reveals that Billy joined the army after destroying the car of his older sister Kathryn's ( Kristen Stewart ) boyfriend, who left her after she was in a car accident that required multiple facial reconstruction procedures. Arriving at the stadium, the group is greeted by numerous anxious fans who express gratitude for their actions and blindly support the Iraq War . During a press conference, Billy spots one of the cheerleaders, Faison ( Makenzie Leigh ), smiling at him. After the conference, Faison walks over to Billy and starts up a conversation with him. He tells her how it feels weird to be honored for the worst day of his life. She offers some optimistic insight and they begin a romance. As the game continues, Billy recalls his time in Iraq, where Shroom offered him philosophical insight and advice during their downtime. It is revealed that once the game ends, Bravo Squad will have to return to duty. Billy receives a phone call from a doctor that Kathryn spoke to in regards to trying to have him honorably discharged so that he doesn't have to go back to Iraq to spare him further suffering. 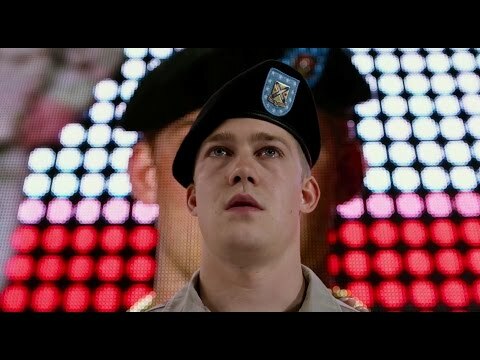 During the halftime show, the loud music and pyrotechnics traumatize an already unstable squad member, Crack ( Beau Knapp ), and he reacts violently against a security guard. Billy experiences a flashback to the battle that made them famous. The squad was called in to rescue soldiers pinned down by insurgents at a school. Shroom is shot while advancing from cover, and Billy rushes to save him, firing on the nearby insurgents with his sidearm. Billy drags Shroom into a trench, but further violence occurs at close quarters. Billy is traumatized in the aftermath, and Shroom bleeds to death. Billy and Dime ( Garrett Hedlund ) meet with the owner of the Cowboys, Norm Oglesby ( Steve Martin ), who is considering investing in Albert's movie about the incident in Iraq. However, instead of the previous offer of $100,000 to each member of the squad for the movie, Oglesby has reduced it to $5,500 apiece, which infuriates the squad. Dime angrily rebuffs his offer. When Oglesby talks to Billy in private, he tells Billy that this story is no longer his, but instead belongs to the U.S. people. Billy tells off Oglesby, refusing his offer, joining Dime. Albert promises Billy that he will find investors one way or another, and that their story deserves to be told "the right way." As the squad leaves, they are attacked by the security guards from earlier, briefly triggering Billy's posttraumatic stress disorder (PTSD) which fills his mind with surreal imagery of war and death. The altercation is halted, and Billy meets up with Faison briefly before leaving. He says he wishes he could run away with her even though he has to go back. They share a kiss before parting ways. Not long after, Kathryn goes to retrieve Billy, but with merely an expression, he makes it clear he cannot stay. She is upset, but he approaches and talk to her, and the siblings share a tearful hug. Billy returns to the limousine, which he sees as a Humvee . He enters and imagines Shroom talking to him. In reality, he is with the squad. They all tell Billy they love him right before they leave, much like Shroom did back in Iraq.